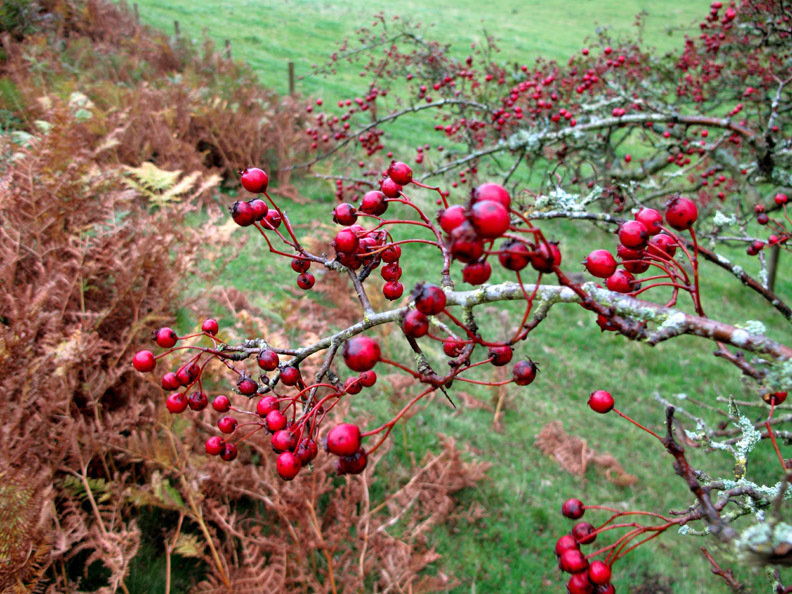 Places visited : Routenbeck Nature Reserve then Sale Fell, The Rivings, Chapel Woods, Old Scales and Eskin Farms and back to the car. Walk details : 3.8 mls, 950 ft, 2 hrs including lunch. 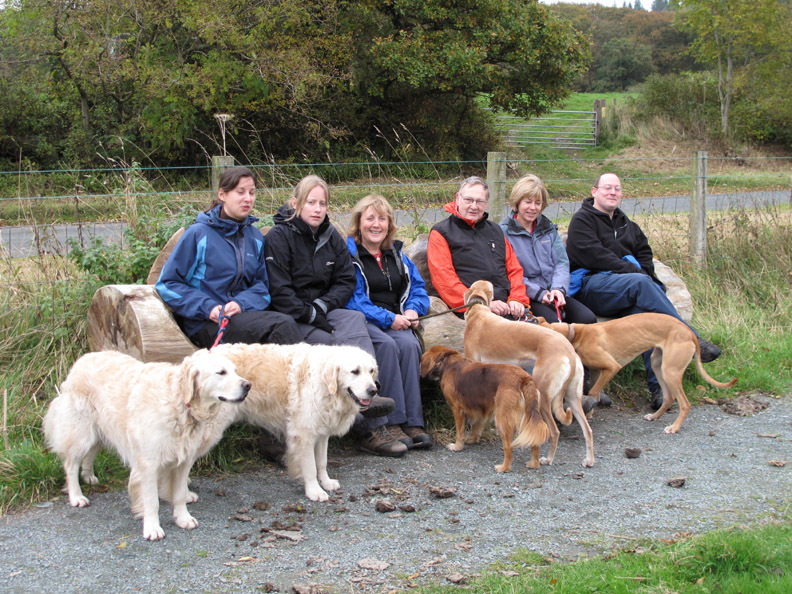 Walked with : Jen, Jen, Jo, John, Ian, Ann and the dogs, Jodie, Amber, Polly, Harry and Bethan. Weather : Damp and grey, threatening rain but not a problem. for a short excursion to see the new wetland board walk. When you find a nice wooden seat you've just got to sit on it ! Jen, Jen, Ann, John, Jo and Ian. Crufts on tour but we still outnumber the dogs seven to five . . . only counted six . . . you hadn't forgotten me had you ? 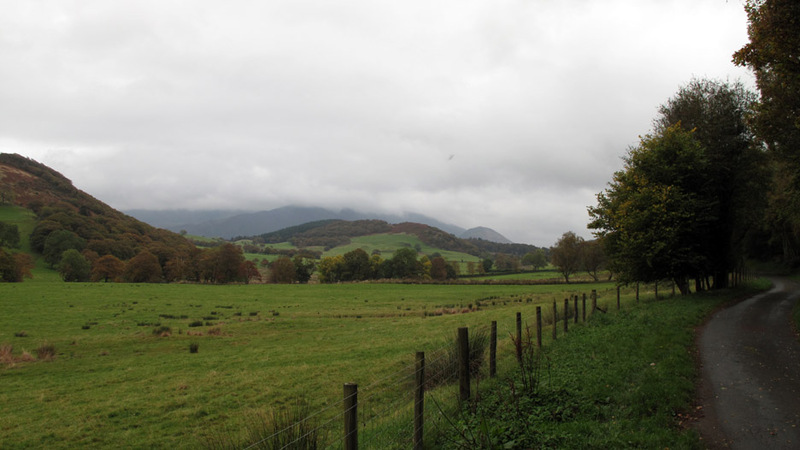 which is situated alongside the Pheasant Inn, Wythop, at the northern end of Bassenthwaite Lake. 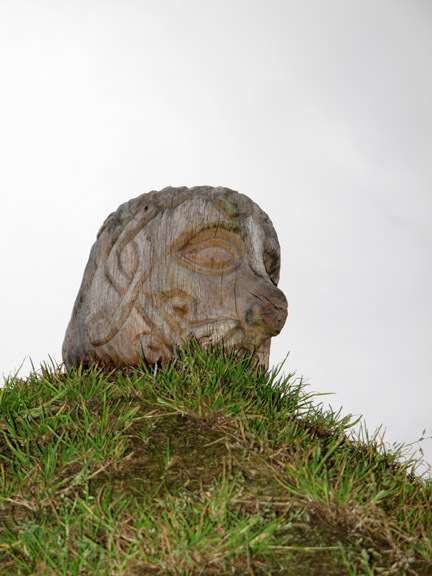 Allerdale Council have added a few extra items to make the visit more enjoyable, especially at this time of year when the the plants are not so colourful. 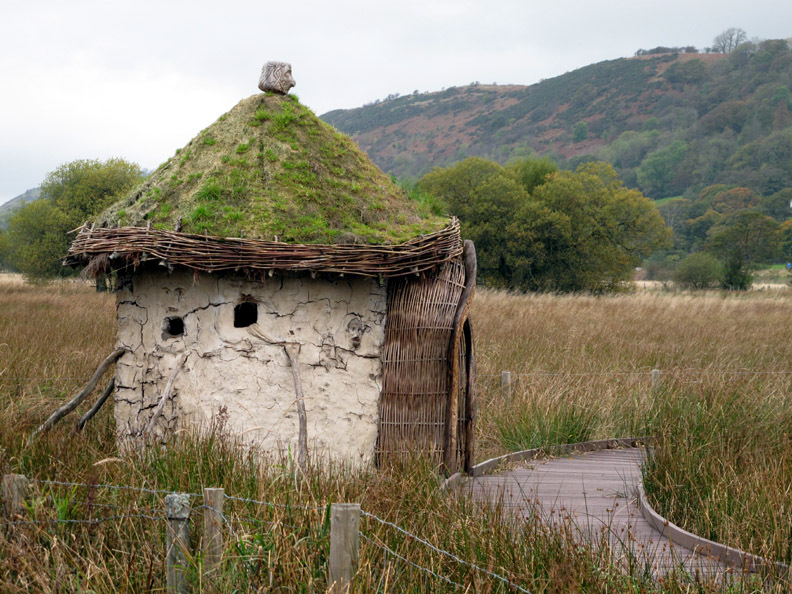 A "wattle and daub" hut of the Celtic period. 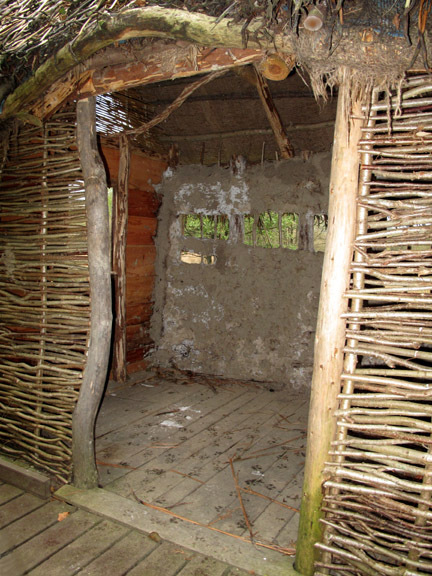 It has three types of walls, wicker, plank and mud. 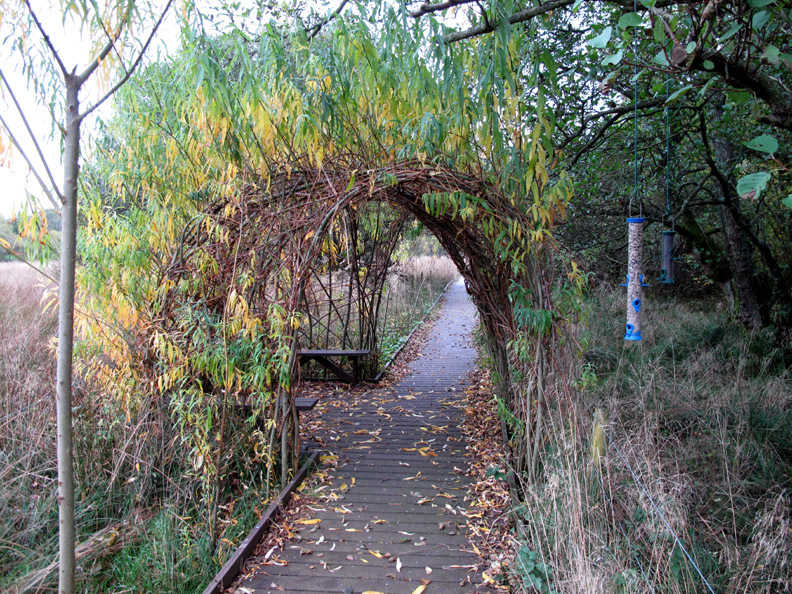 A living willow arch covers a seating area. The willow sticks were planted last year and they have taken root to form this living structure in which you could rest a while if you wish. 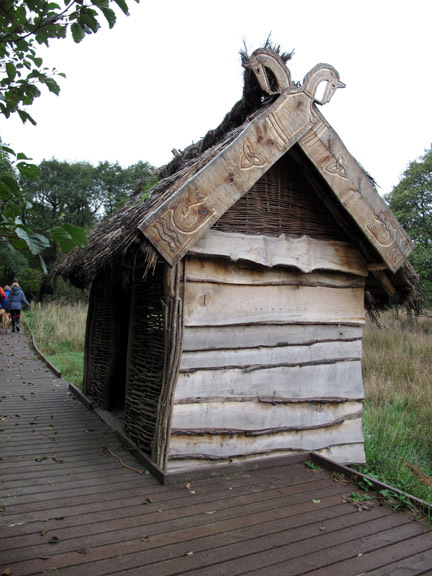 A Viking hut with mud walls and turf roof, built on stilts over the wetland. 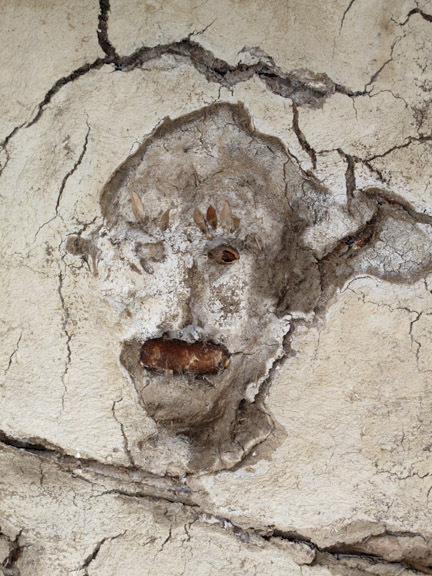 Faces in the wall . . .
. . . and it's not even Halloween ! 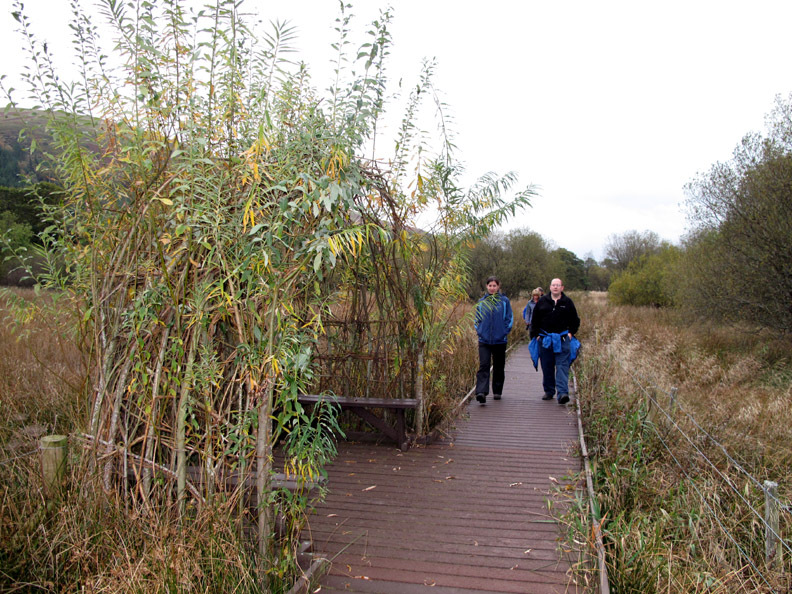 We walk around the reserve, passing another living willow shelter. The board walk is made from recyled plastic. Back to the entrance and a final example of a Victorian shelter, constructed around the time of the coming of the railways to Cumbria. 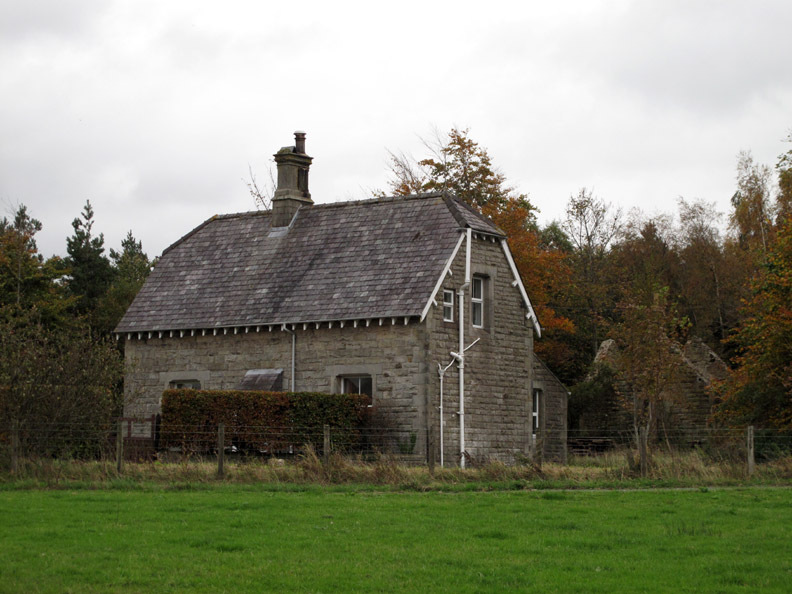 This is Station Cottage which used to have the Penrith, Keswick and Cockermouth railway running alongside it. 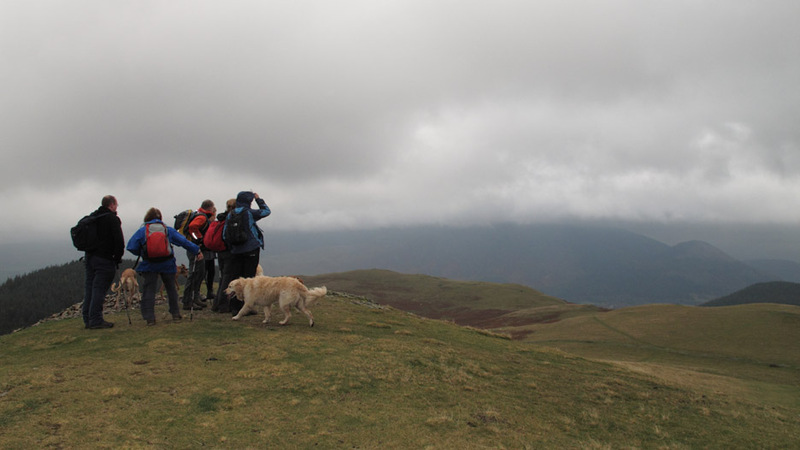 The weather showed no sign of improving, and a walk on the high fells was definitely NOT attractive, so we decided on good old Sale Fell. 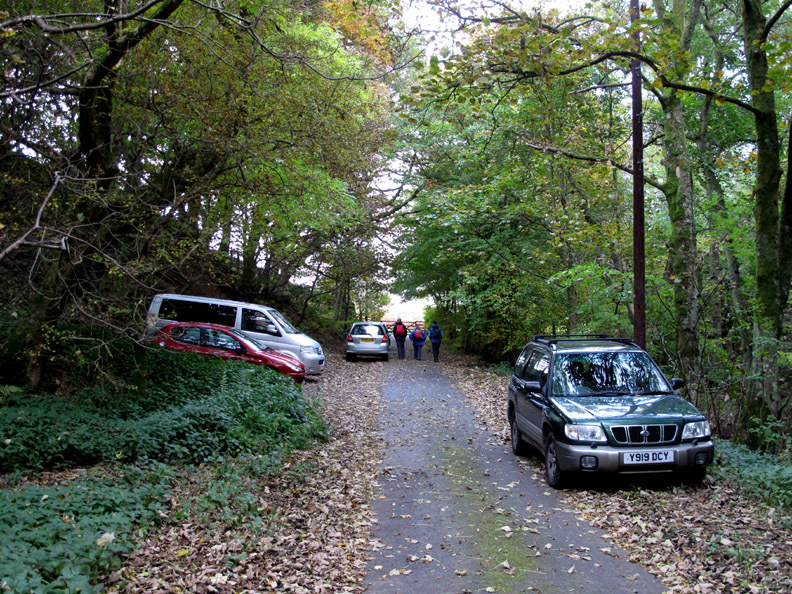 Parking at the end of the road to Kelswick Farm, at Brumstone Bridge. 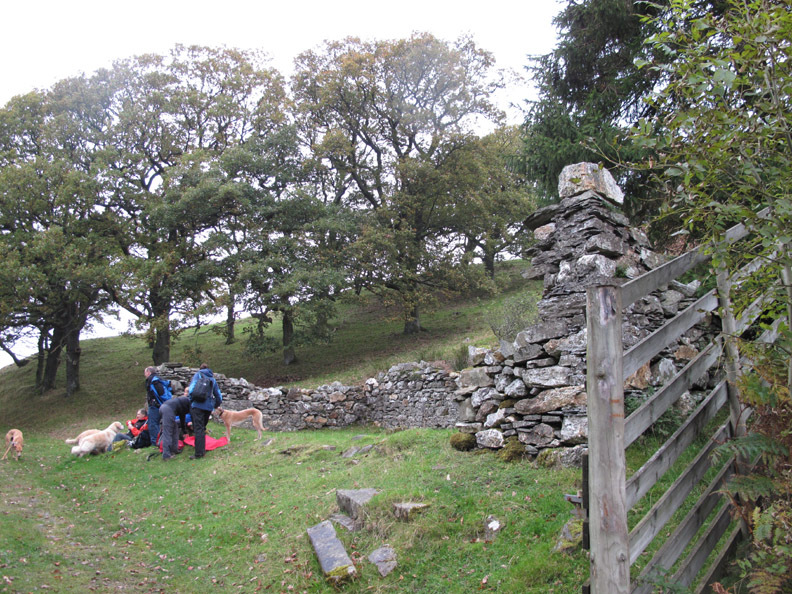 Through the gate and immediately left meant we were on to a steep climb from the start . . . no time to warm up then ! Half way up I stopped for a photo (breath) of Eskin Farm and the cloud covered Broom Fell. Jen and Jo stride out towards the top of Sale Fell, passing one of the characteristic quarts rocks that feature on this hill. Did I say it was windy ? 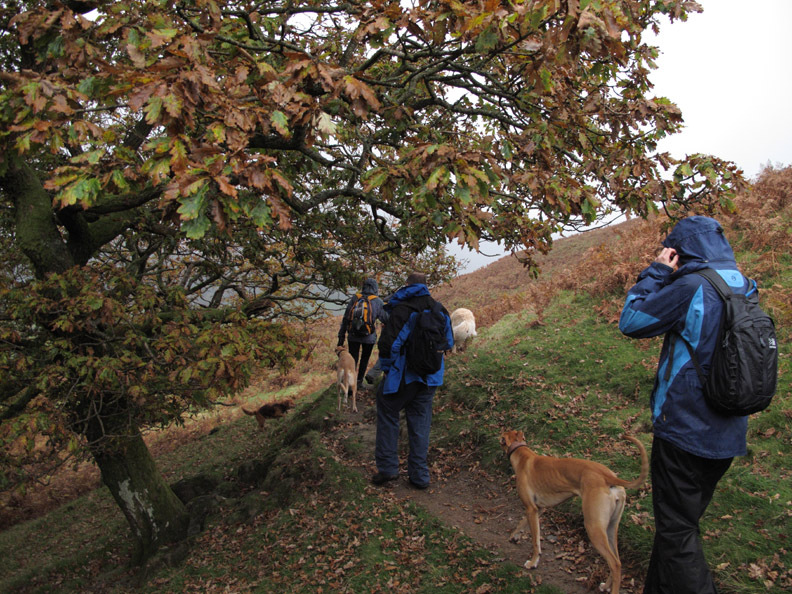 It was certainly rather grey and with spots of rain in the air, the waterproofs were on. 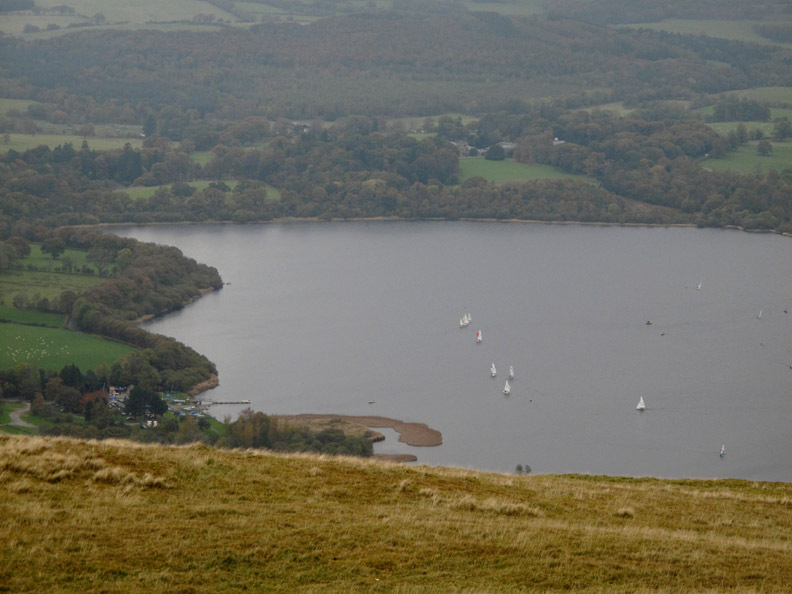 where the sailing club were holding a race for local dinghy sailors. Looking along the lake, the long distant views disappear into the gloom. 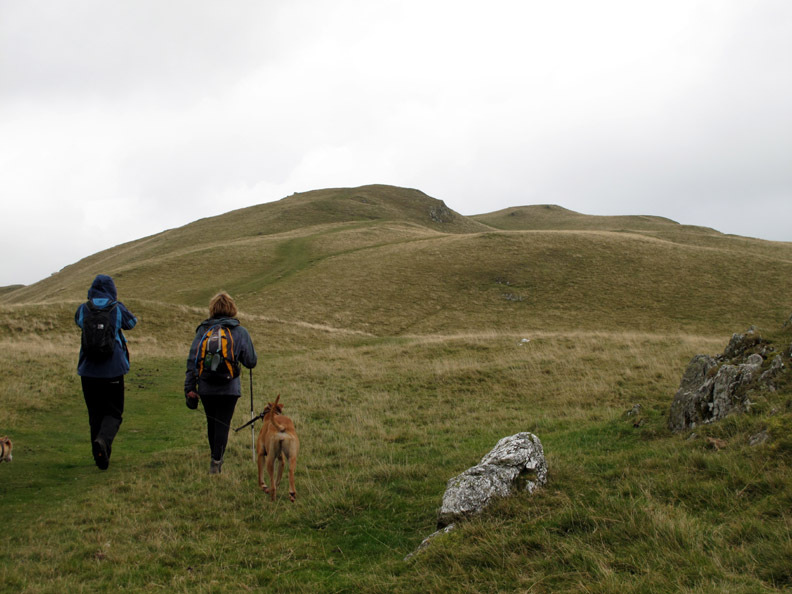 from The Rivings down to the Chapel Wood track. 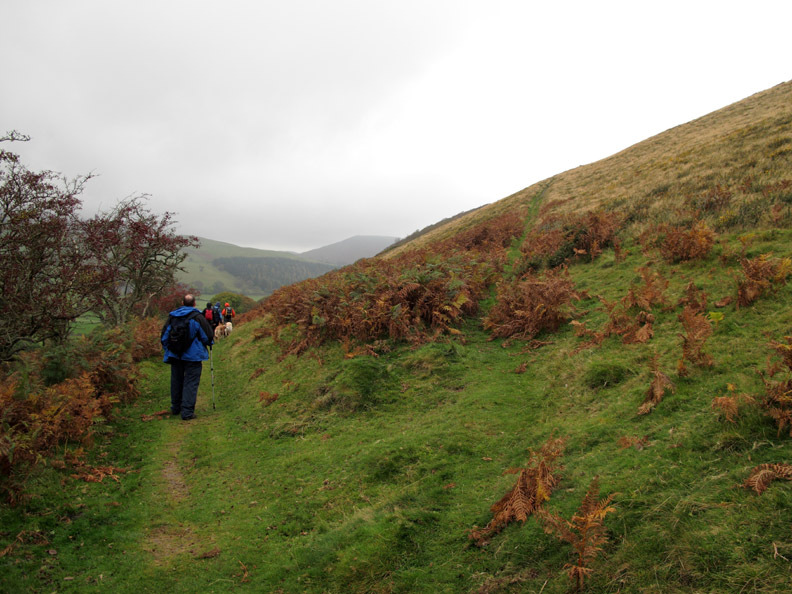 Had we taken the short cut directly from the ridge we would have come down here. only mine need electricity to make them shine that brightly. 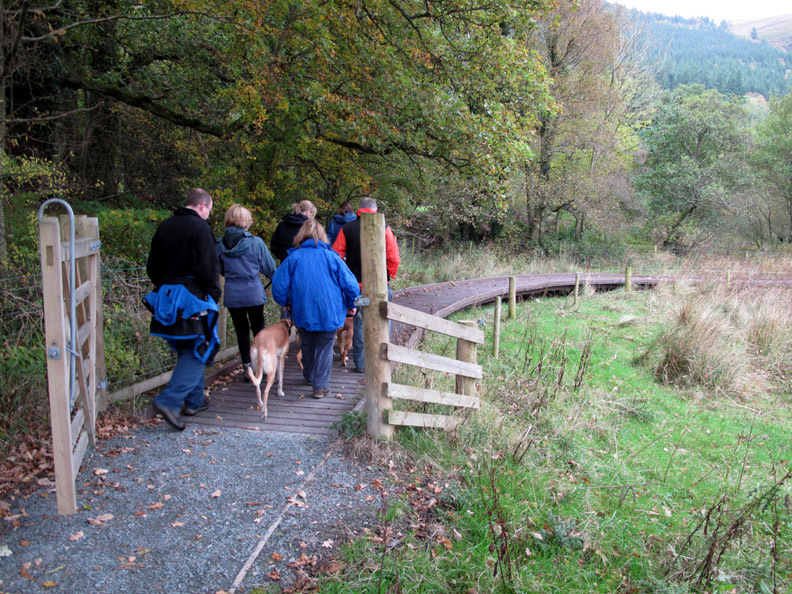 The Chapel wood track leads down to the site of the old Chapel. John, Jen and our Jen stop to read the information sign as Ann and Ian make their way though the gate. 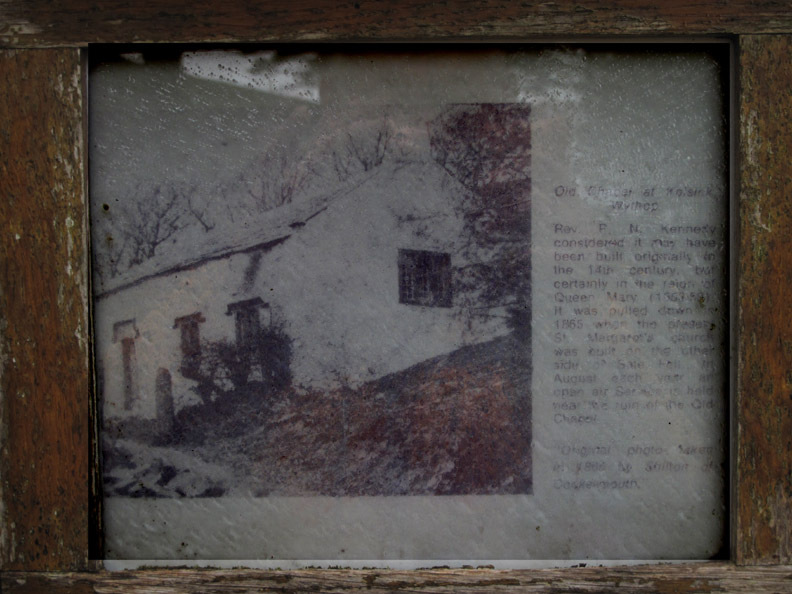 The church was de-consecrated in 1865 in favour of the new one built on the other side of the fell. 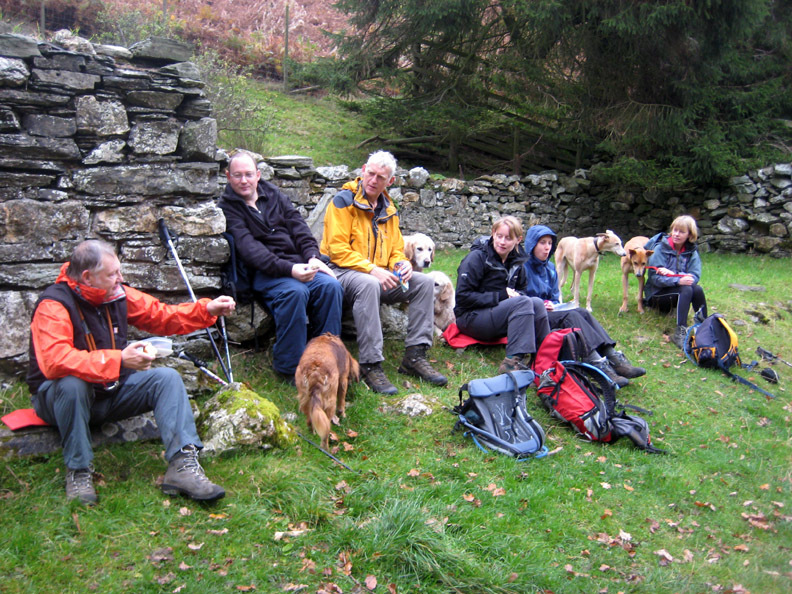 and so stopped a while to enjoy lunch in the pleasant, if rather damp surroundings of the Chapel. 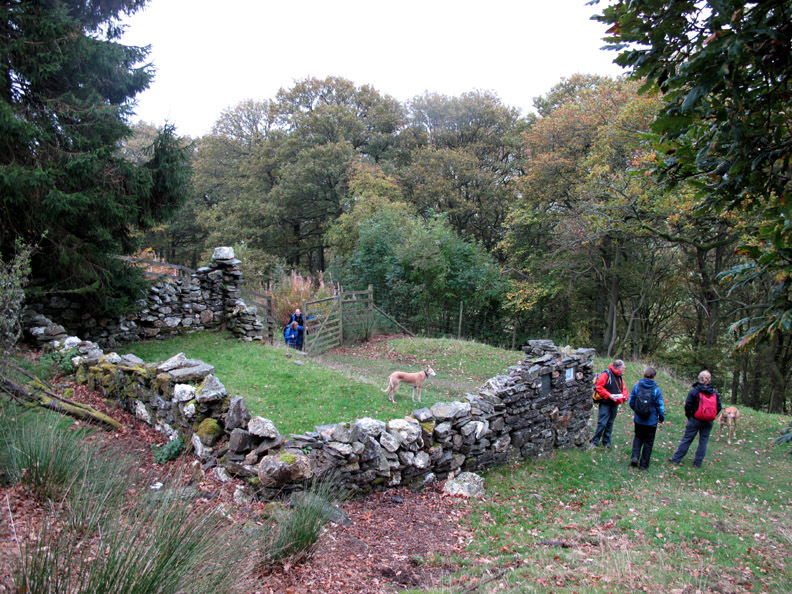 The old Church site . . . full of history. 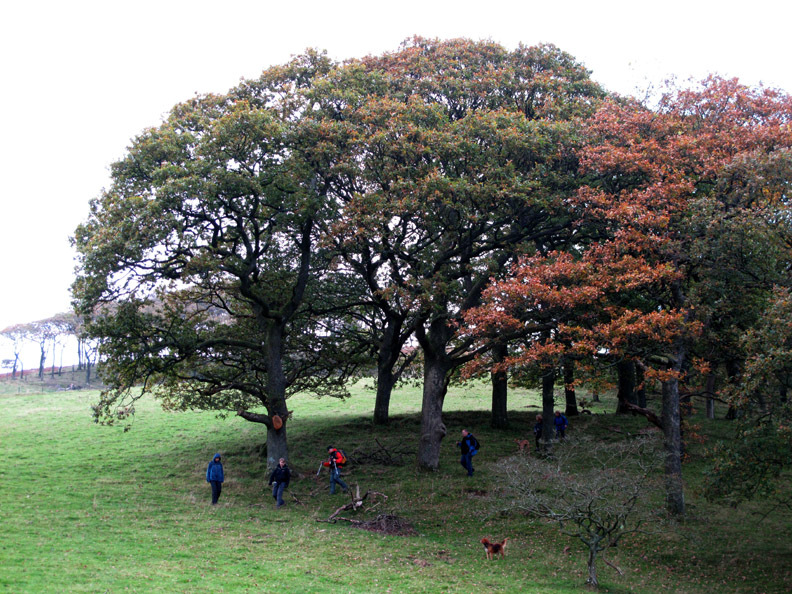 and rather than pass Kelswick Farm we aimed for Old Scales Farm across the valley. Our decision on the walk had proven correct as the weather hadn't improved. 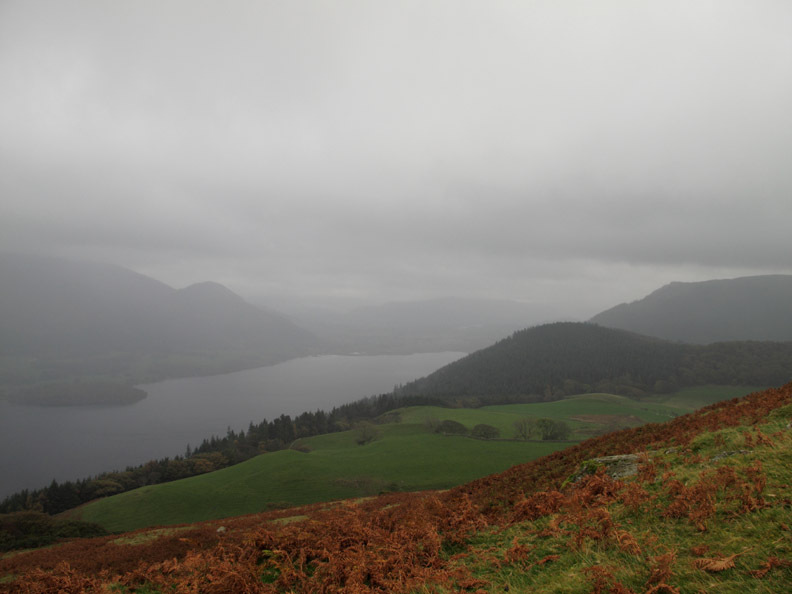 The cloud was still down on Skiddaw, seen here above the wooded summit of Lady's Table. My Little Pony (?) in pink just beyond the brown and white skewballed pony. 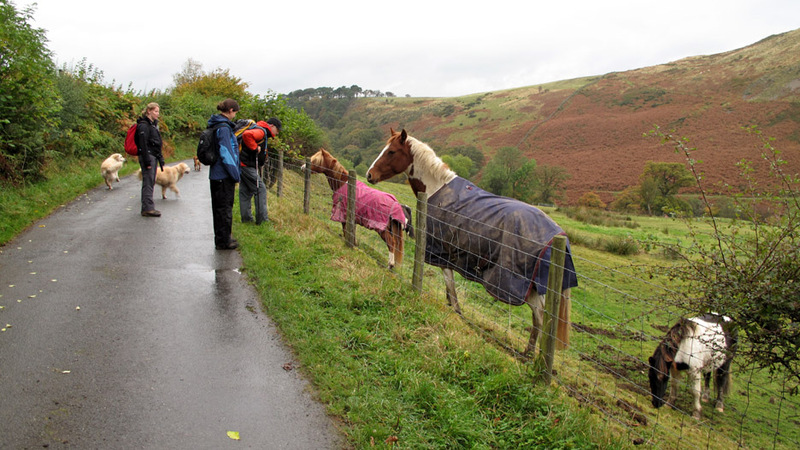 Number three of Eskin's ponies was more content with finding his lunch. 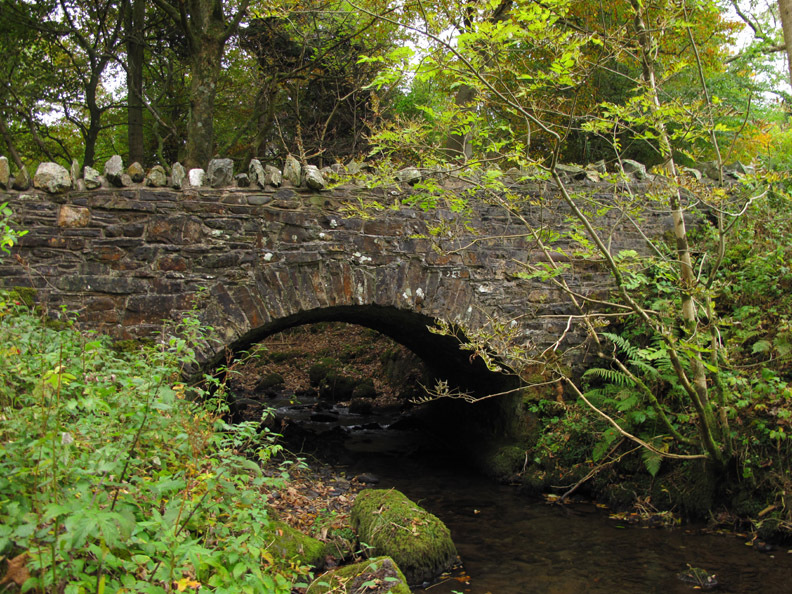 Back at the start of our walk, a quick drop down to stream level for a view of Brumstone Bridge before we make for home. This site best viewed with . . . an Allerdale ratepayer's leaflet noting the local amenities.